Blog s osobními názory Aleše Vychodila, stavitele a prodejce hudebních nástrojů, elektrických kytar a baskytar. Back in winter 2008/2009 I made this fretless semi hollow bass to Frankfurt Musikmesse 2009. 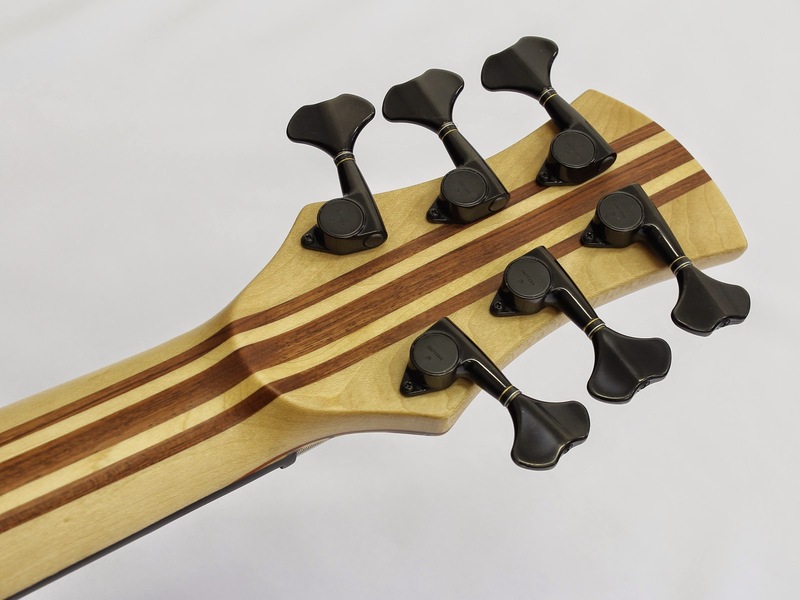 The bass featured Flamed Maple top with Alder core and Mahogany back plus 7 piece laminated Maple/Bubinga neck. On this bass I used first time Kent Armstrong Neodymium pickups with wooden piezo bridge and AV Basses electronics. 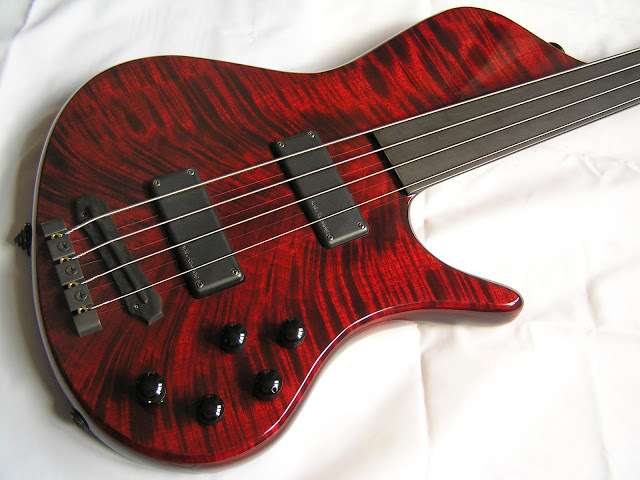 The bass was lightweight with nice sustain and deep bass tone. 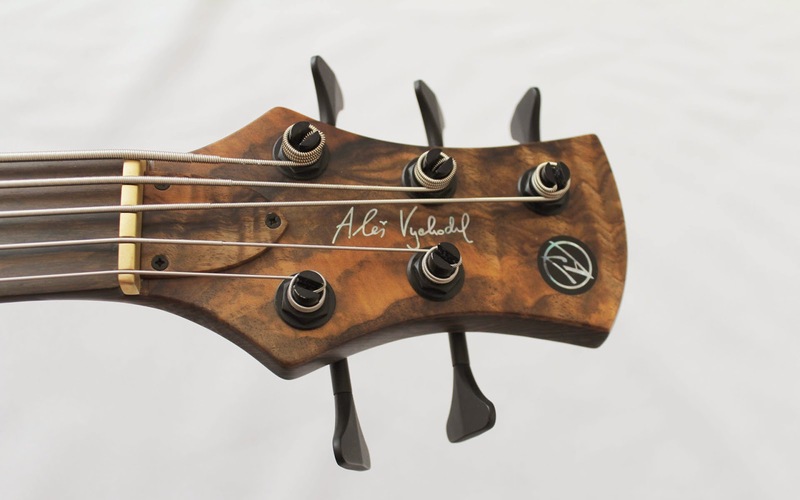 Latest AVB1 with beautiful Ziricote top, Maple resonant layer and Mahogany back. 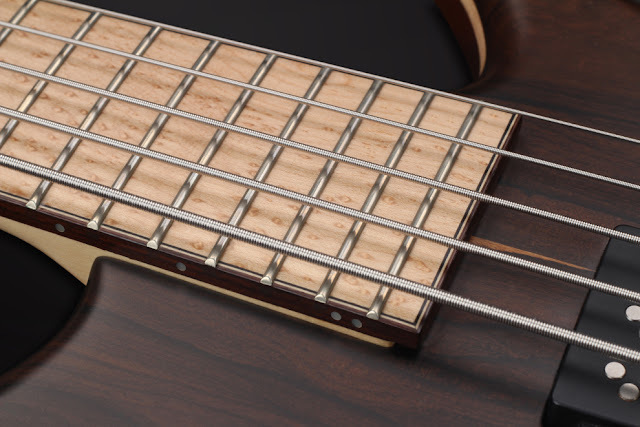 This bolt on bass features Nordstrand NPJ5 vintage pickups paired with modern Aguilar OBP-3 electronics. Mini switches allows to switch between passive and active electronics and switch mid frequency to 400 or 800 Hz. 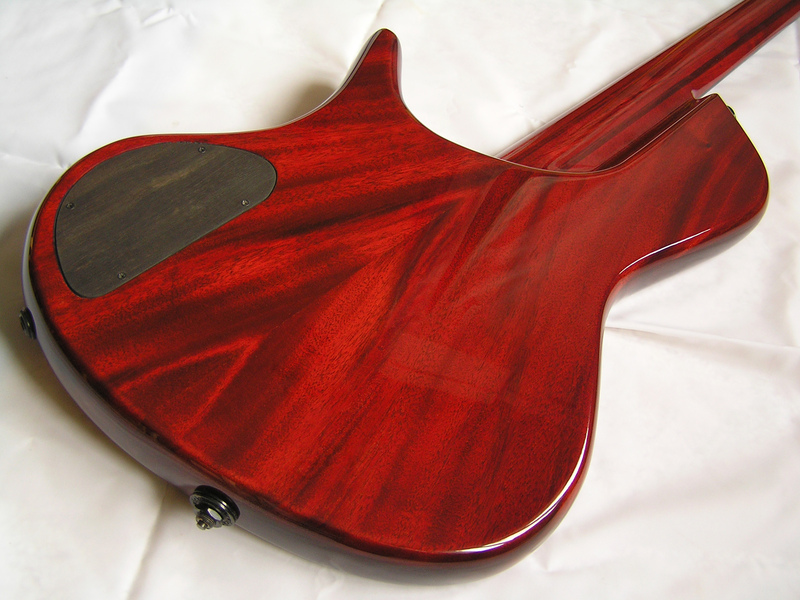 Birdseye Maple with Maple/Mahogany neck makes this bass sound fat with clear treble and upper midrange. 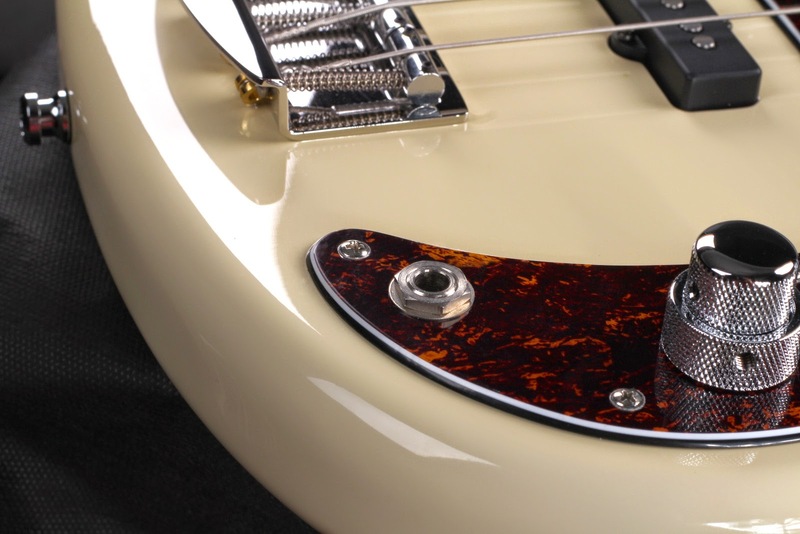 Small details like Brass nut, Rosewood/Maple/Ebony binding or Ebony cavity electronics cover underline it's modern look and vibe. 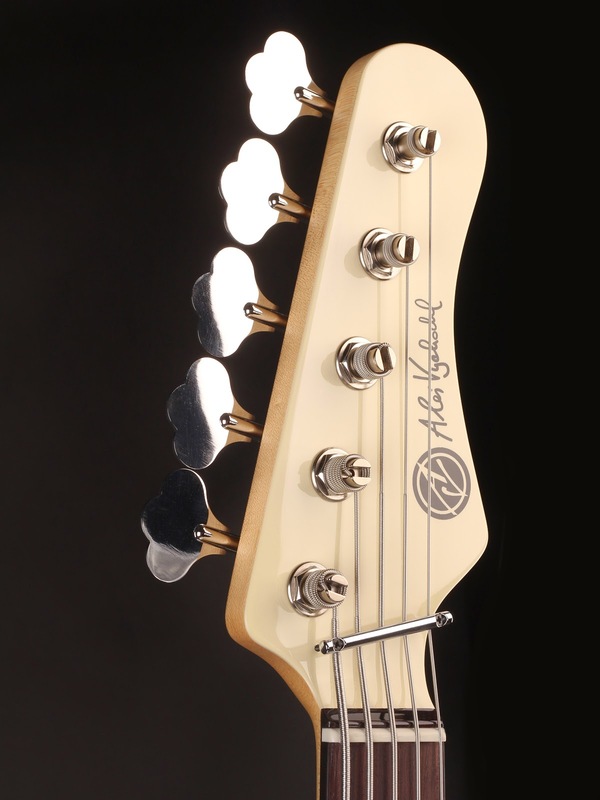 Fast and smooth playability helps satin matt lacquer on the neck and fretboard. 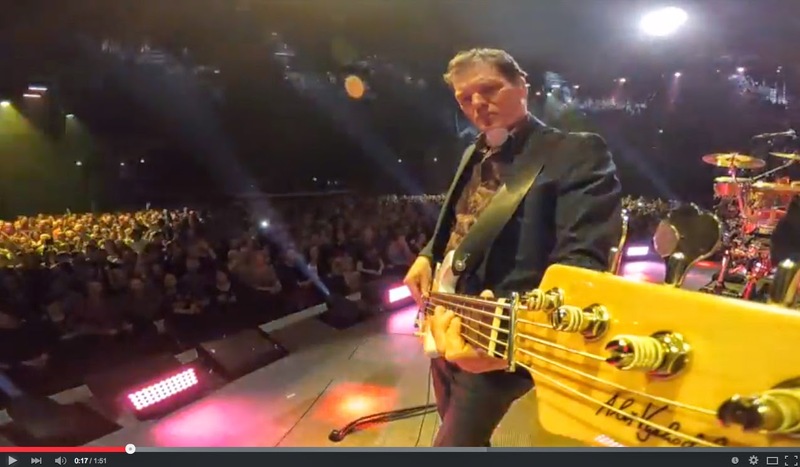 A new AV Basses endorser Hein Offermans/ The Netherlands playing a AVBP5 bass for Guus Meeuwis live at Vrienden van Amstel LIVE 2015. 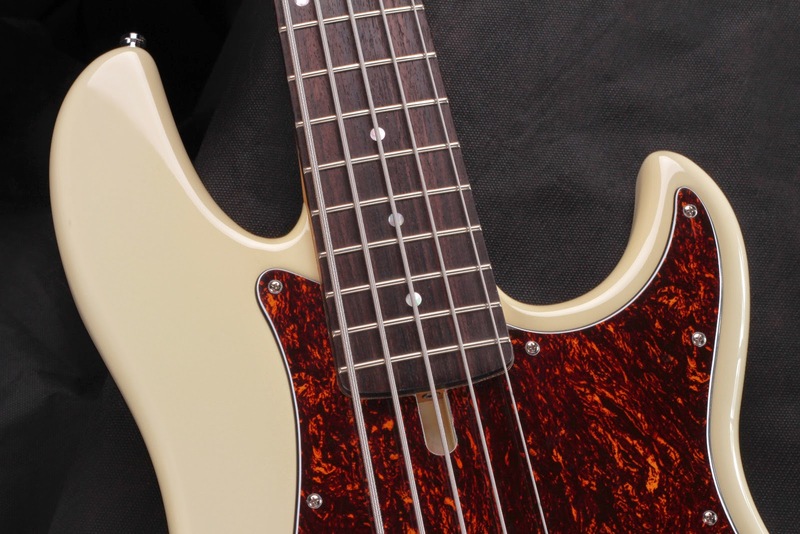 The bass in the video is Sonic Blue AVBP5 with Nordstrand NP5 pickup, Hipshot hardware and Alder/Rosewood/Maple woods. A few updated pictures of my AVB1 bass. 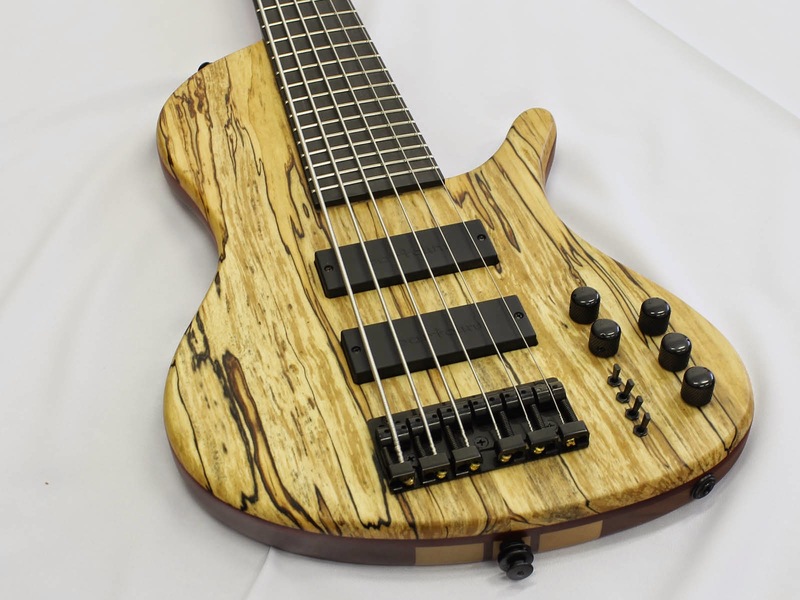 More basses with different wood/electronics/pickups combination at www.avbasses.com. 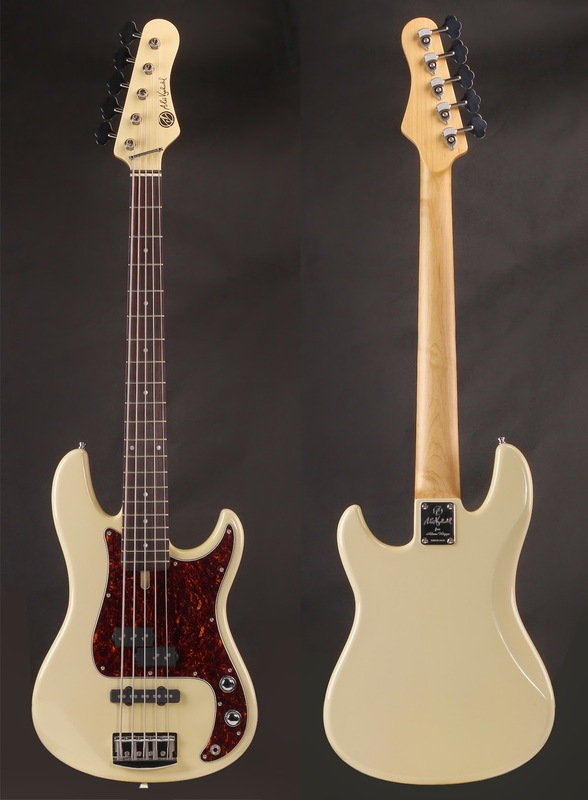 AVBPJ5 in Vintage White/Nitrocellulose lacquer. 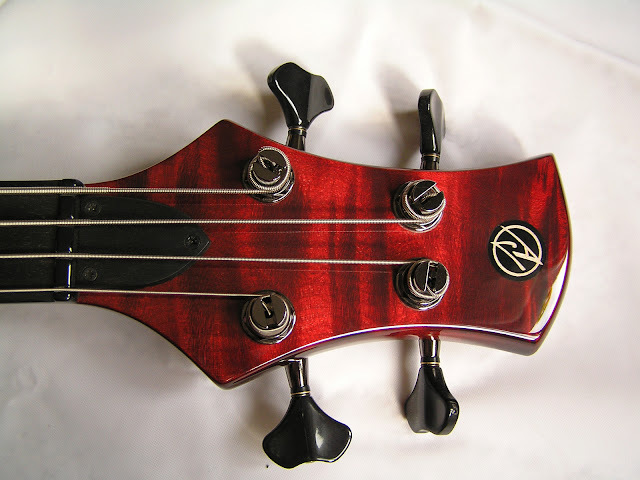 with Tortoise pick guard and stacked knobs for each pickup. 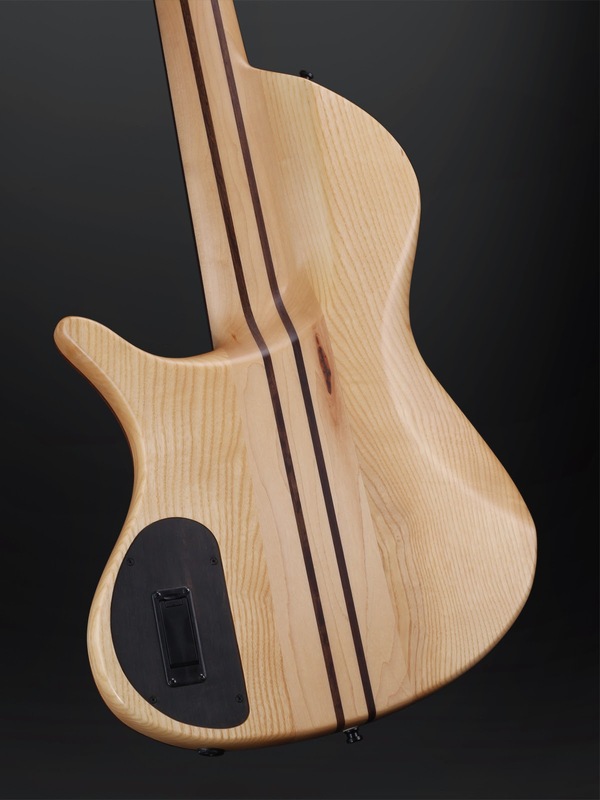 Wood used for the body is Alder. 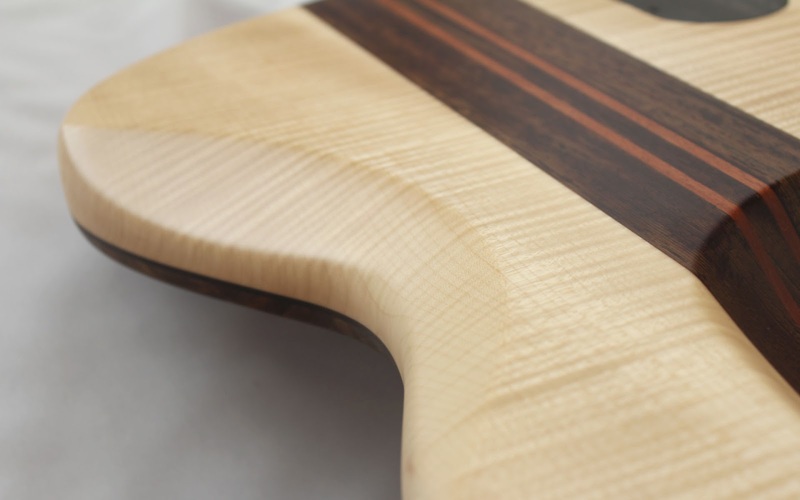 Neck woods are Rosewood for fretboard with Pearl dots and Hard Maple. 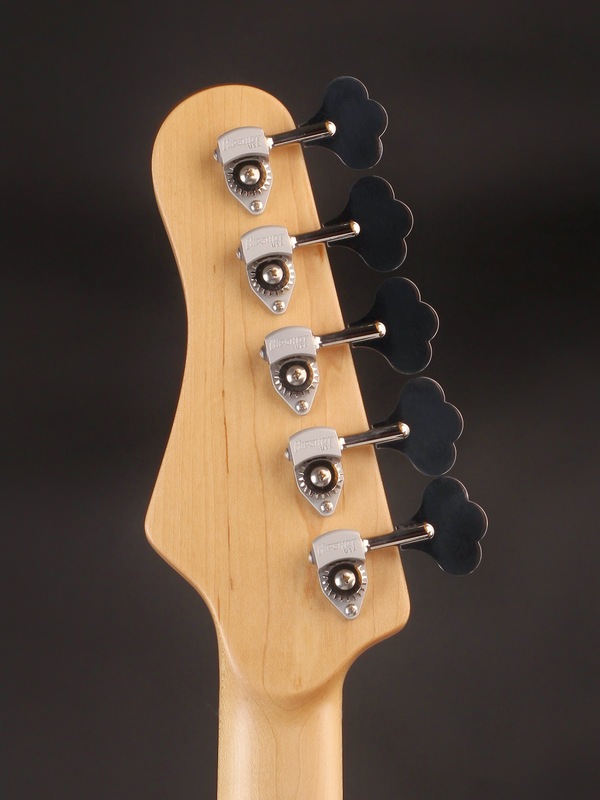 Matching headstock in high glossy finish with Satin Matt on the back side of the neck. 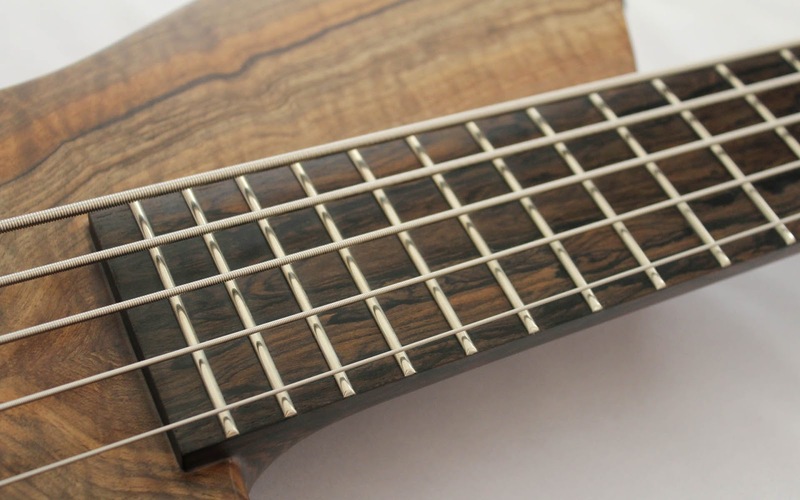 Latest bass with beautiful Serbian Walnut top and Birdseye Maple fretboard. 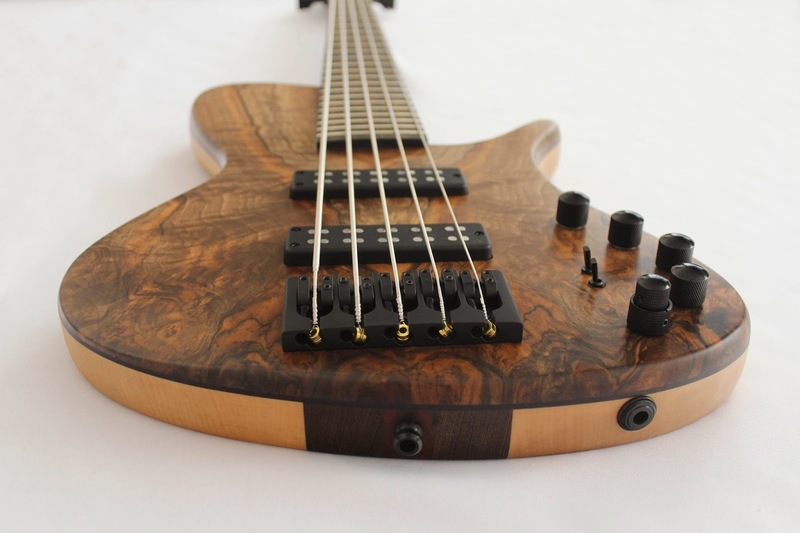 This bass features 35" scale, Maple/Wenge neck with Ash back and superb Nordstrand Pickups Dualcoils along with Nordstrand active electronics and Hipshot Products Inc hardware. 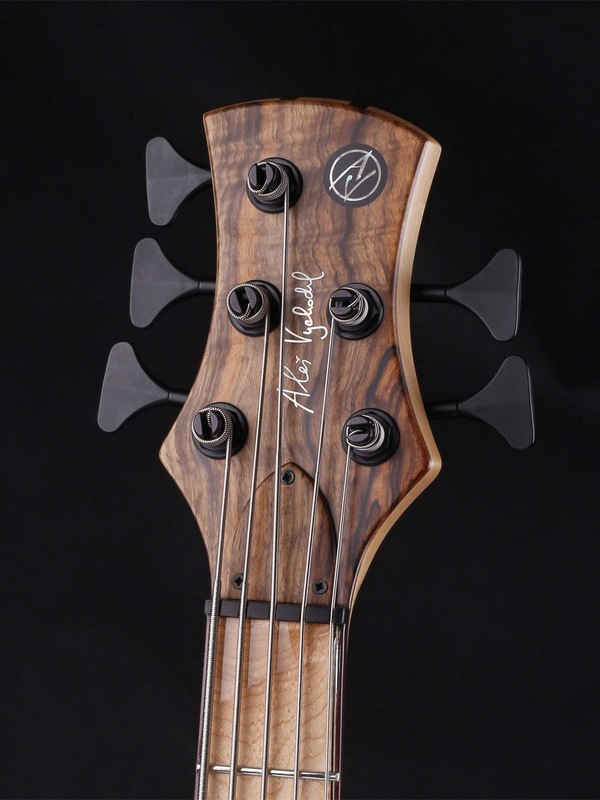 Based on Michael Krasny's bass shape with longer scale this bass reproduce bass frequencies with clarity and you can clearly hear how strings vibrate. 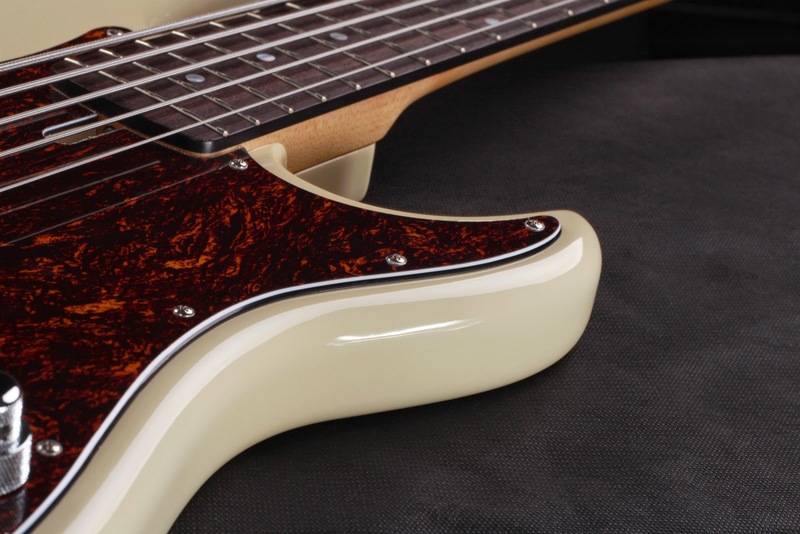 Personally I like the look of lacquered Birdseye Maple fretboard compared to Satin Matt on the rest of the bass. 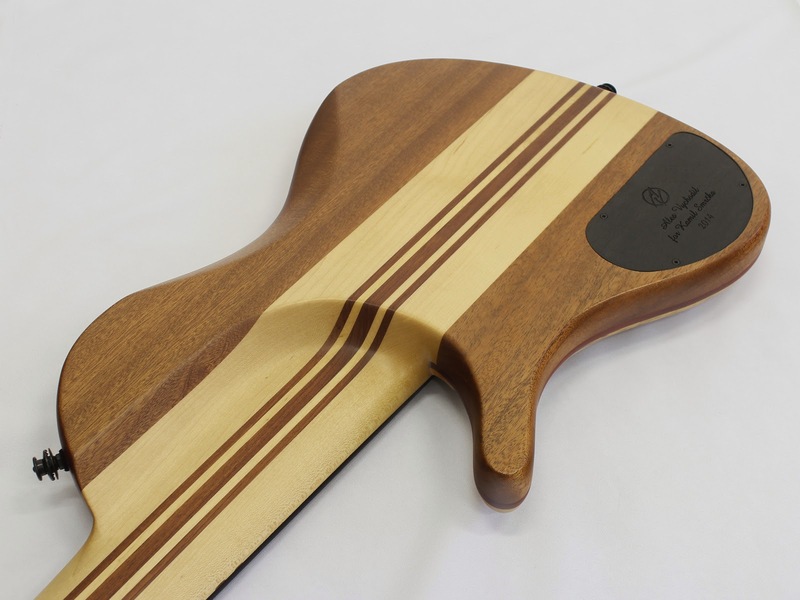 Pearl dots makes your orientation easier (if you prefer to have them on the fretboard) and together with side Pearl dots in Rosewood binding glows in the darker stages. Merry Christmas to all my friends and fans. 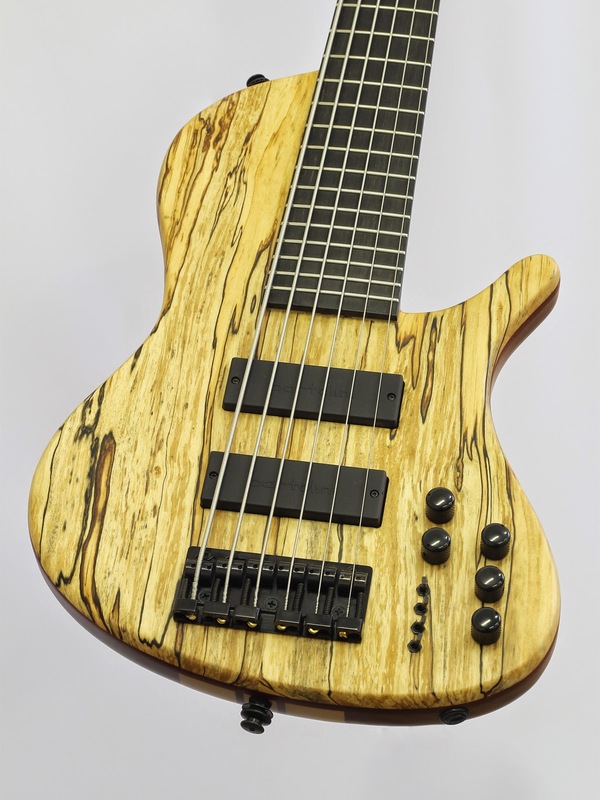 One of the latest basses I made is AVBS singlecut shape in a 6 string version. 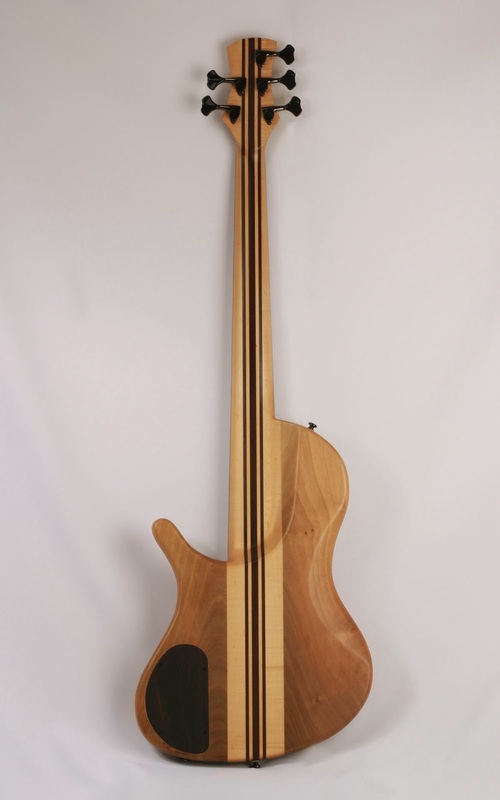 This bass follows 2 basses I made in past and shares almost the same construction and wood configuration. 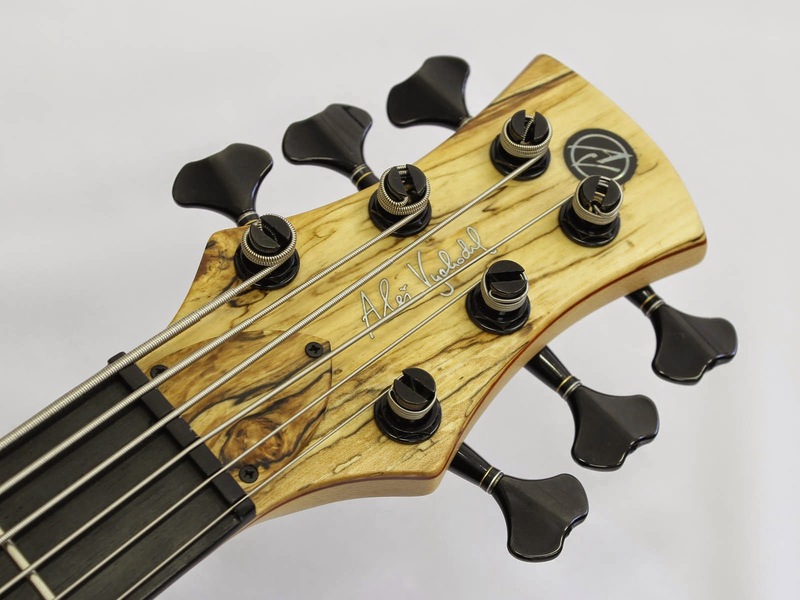 The top used for all of these basses is Spalted Birch from Czech Republic. 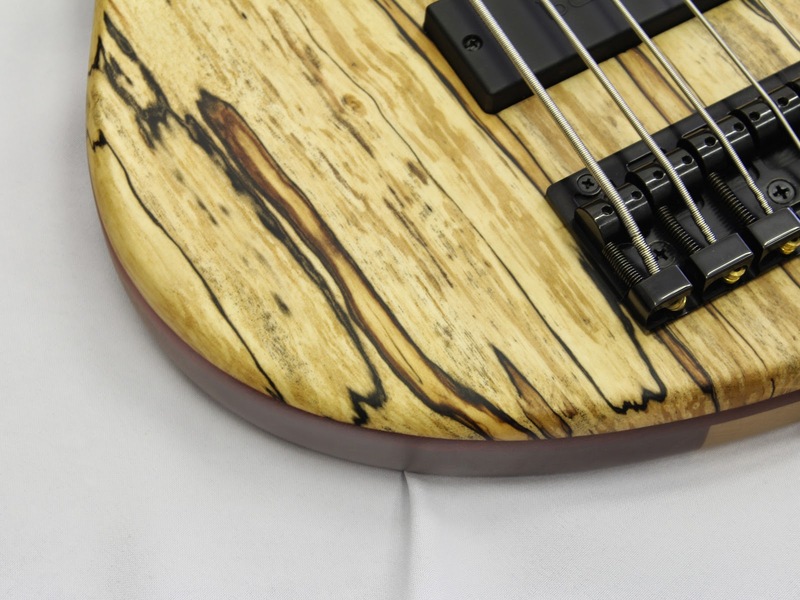 I got this wood from my fellow colleague woodworker who thought that it could be good for my basses. It is a very fancy wood and spalting figure is so nice and unique. 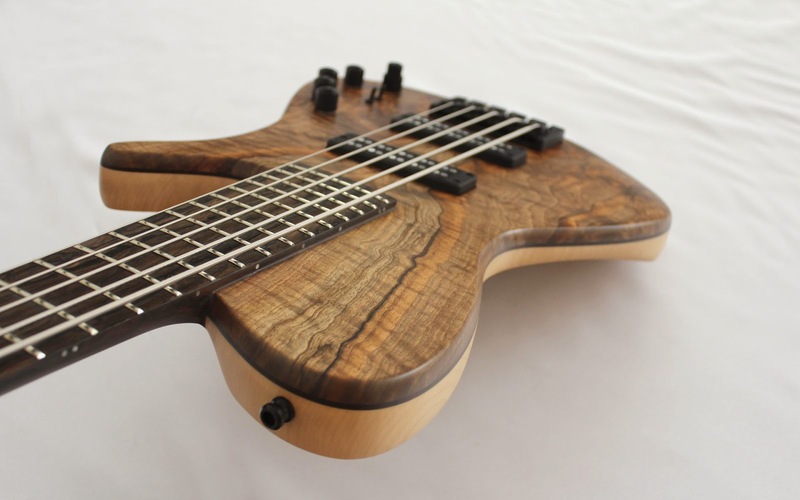 You can find nice woods in Czech Republic for basses too! 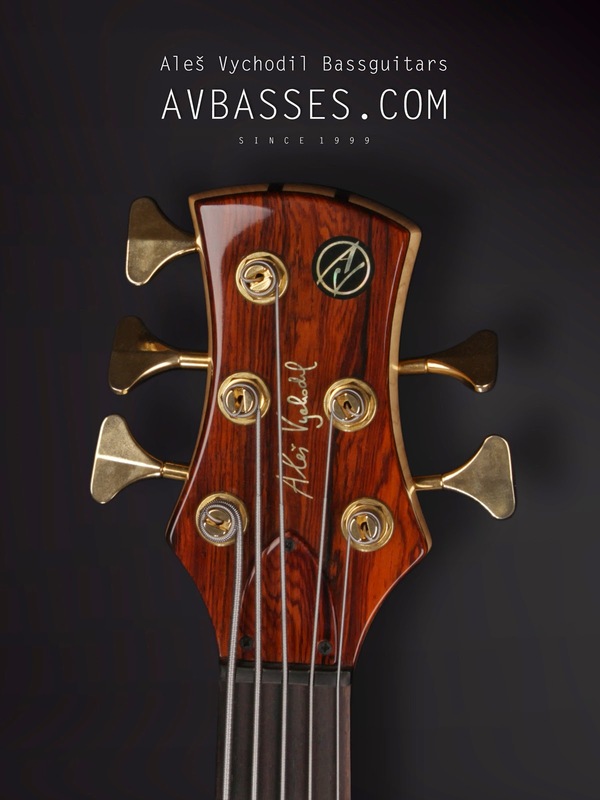 All of these basses came with Aguilar OBP-3 preamp. I've changed pickups and preamp on first of these 3 basses to EMG's DC40's and Glockenklang preamp which fits perfect to this bass. 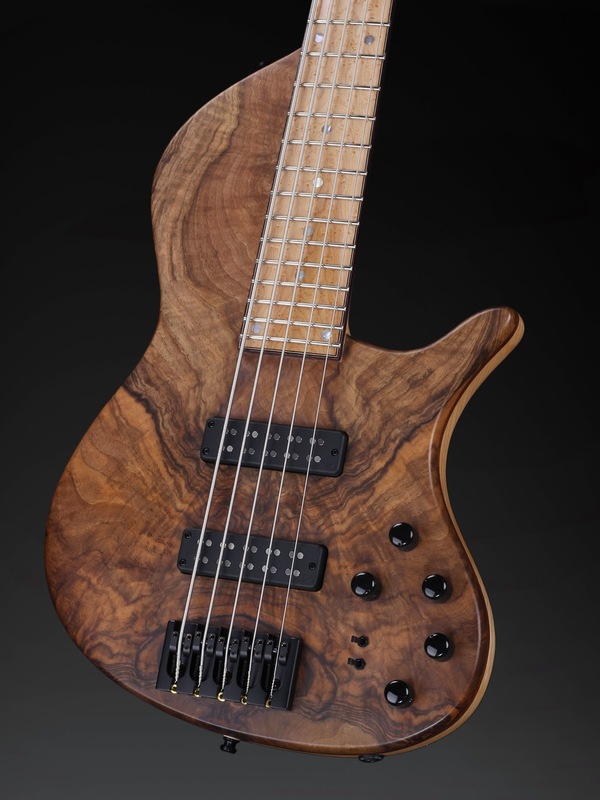 It has European Walnut back and bass has nicely defined low range. 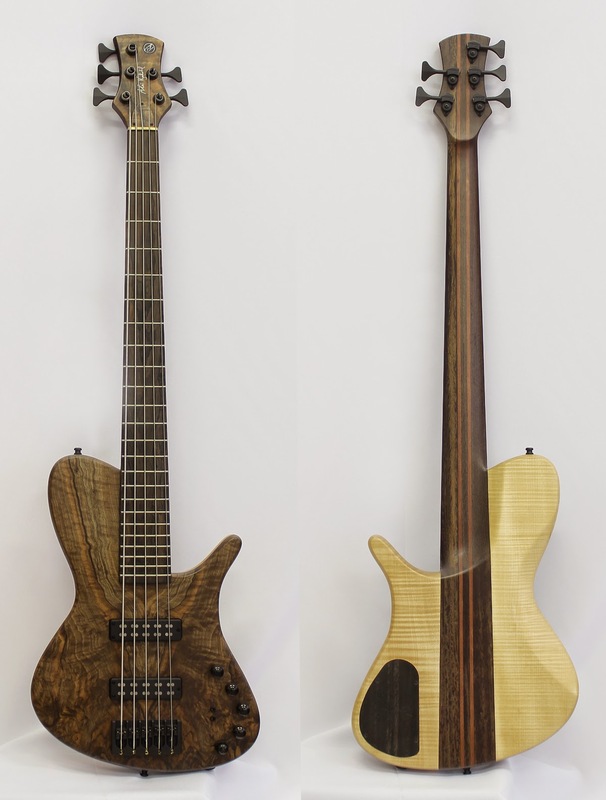 Other two basses have Mahogany as back wood and they sound more detailed in midrange with better defined harmonics and warm growl if both pickups are on. 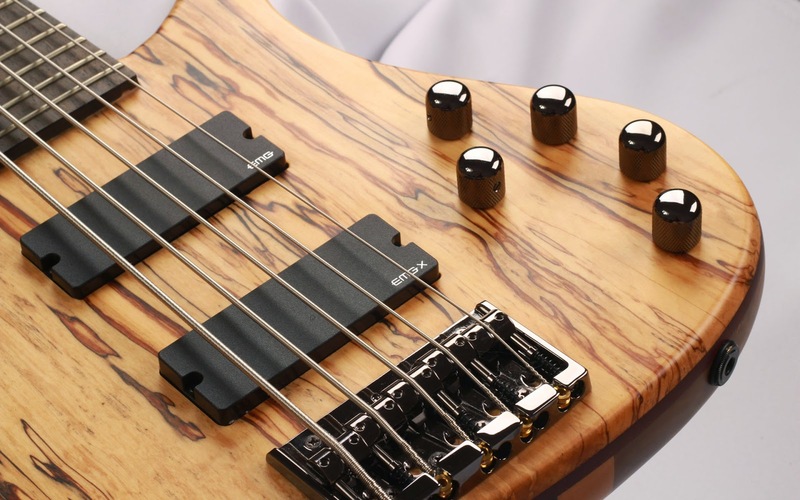 First bass featured Hipshot gold hardware and I think that black or cosmo black fits much better to light wood than gold hardware. 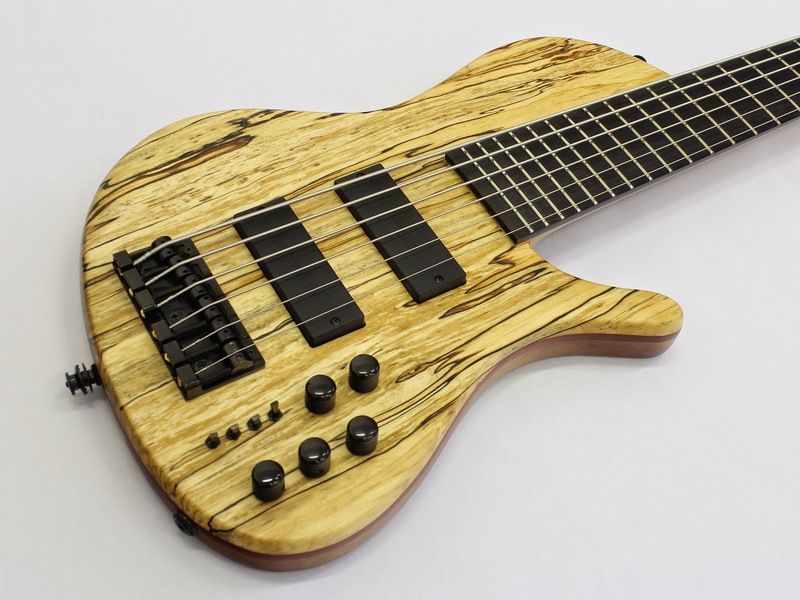 This 6 string has Bartolini humbuckers with small 3 way switch for splitting coils as series/single/parallel and really makes change to a tone. 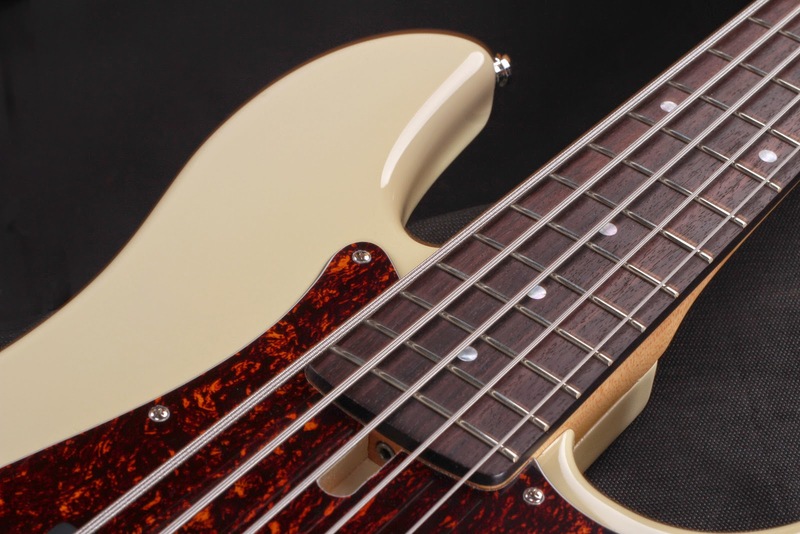 You can find your tone there. 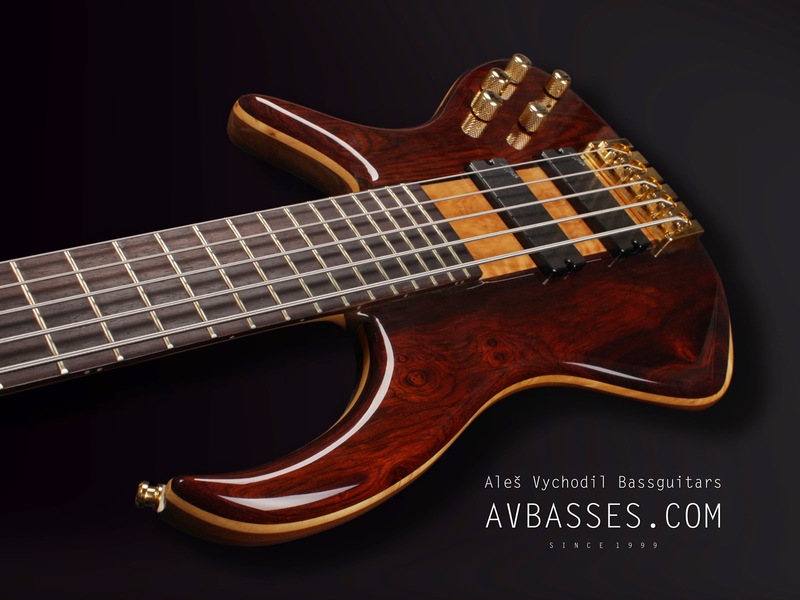 AVBS5 bass I made recently for Roman Hašek (Prague). The bass features beautiful Claro Walnut top with Rosewood layer and AAA Curly Maple back. 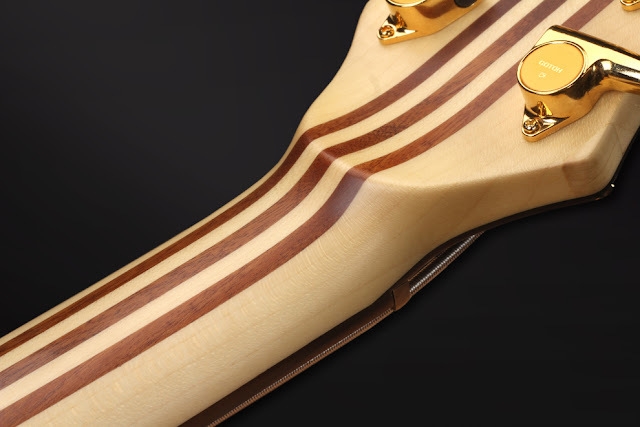 The neck of the bass is made of Wenge/Bubinga lamination and 36" scale Ziricote fretboard what makes it truly exquisite. Brass nut and Hipshot bridge helps sustain and tone to be piano like. The bass can sound very even and precise in low range and can articulate well. 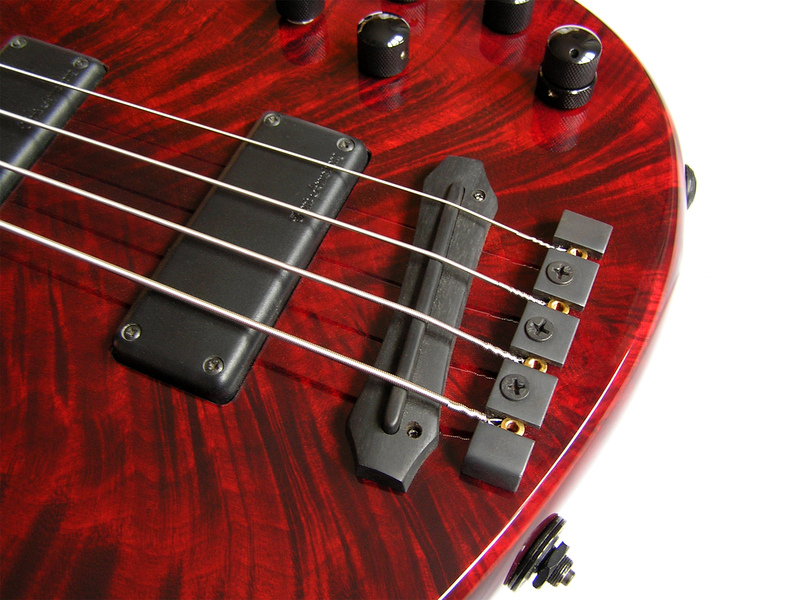 Nordstrand Dualcoils and Nordstrand active electronics support its modern sound. 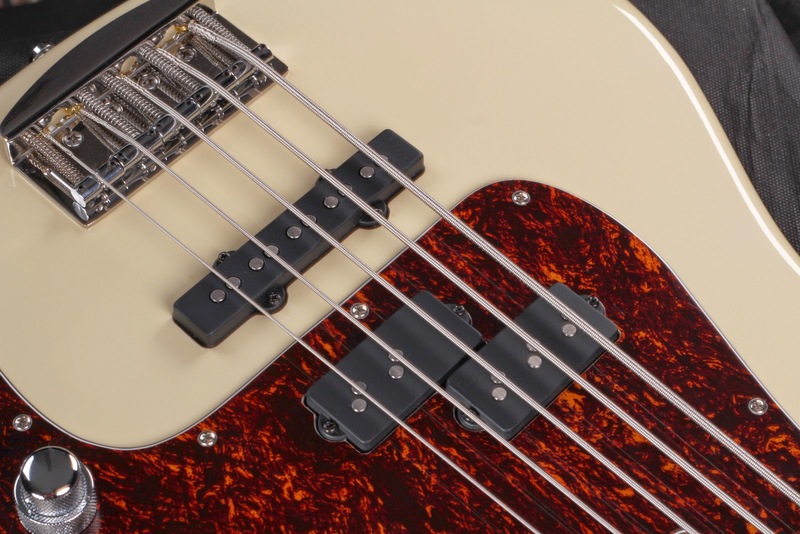 These pickups are really top end in bass guitar world. 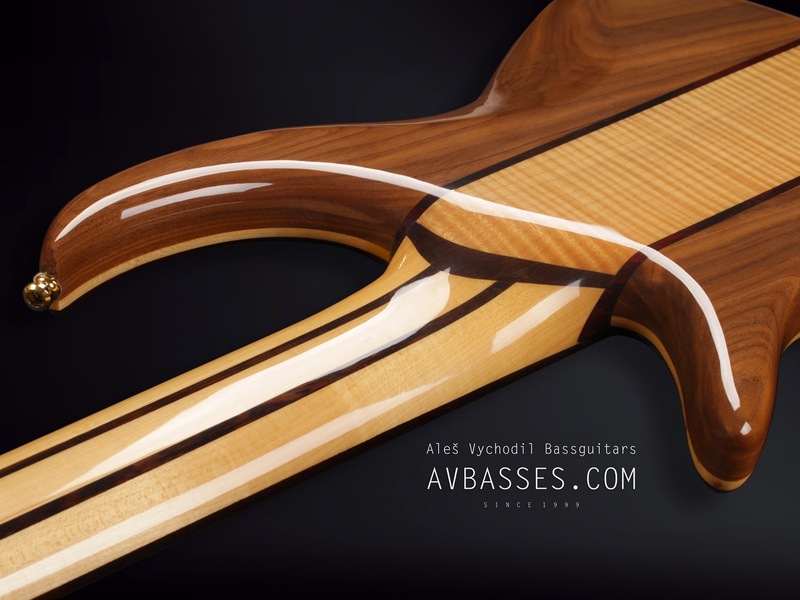 More pictures at avbasses.com website soon. Tento blog vyjadřuje názory Aleše Vychodila. Motiv Jednoduchá. Používá technologii služby Blogger.